The Fraud Act 2006 presented a wholesale reform of the pre-existing deception offences under the Theft Act 1968 and Theft Act 1978. 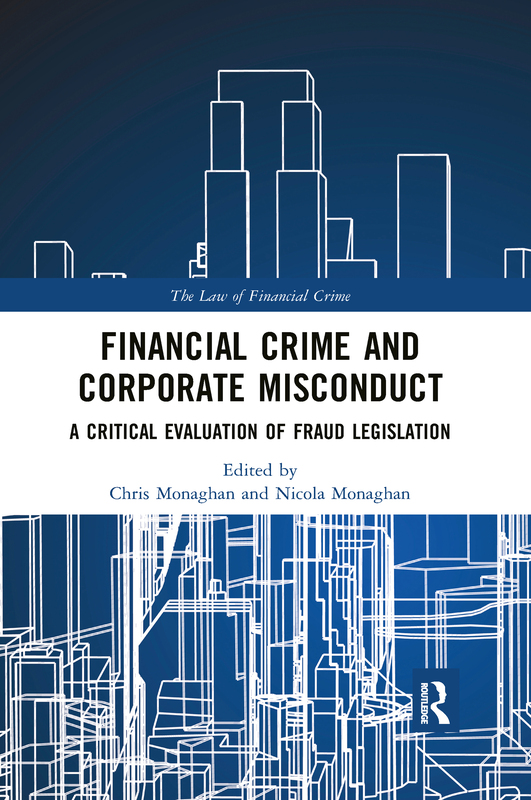 This edited collection offers a critical evaluation of fraud legislation and provides a review of the Fraud Act 2006 within the context of measures introduced within the previous decade to combat financial crime, fraud and white-collar offences. The edited collection brings together contributors from a range of unique perspectives including academics, practitioners and a former member of the judiciary. It covers several related themes and provides the reader with a unique and original commentary on how the Fraud Act 2006 has been applied by the courts, the type of prosecutions that have taken place, the effectiveness of the Act, and other legislation which is used to prosecute financial crime and corporate misconduct. It covers procedural and evidential aspects relating to fraud trials, namely consideration of the composition of the tribunal of fact in complex fraud trials, and good character directions in fraud trials. It will be of interest to those teaching and researching in Financial Crime, Corporate Law, Criminal Law, the Law of Evidence, Criminology, Criminal Procedure and Sentencing. Time to celebrate? Not quite! Is the criminal law fit for purpose? Do we need a failure to prevent fraud offence? Who should try ‘complex fraud trials’?